Although the history of telecom evolution begins with PSTN and switches we shall oit them as they are truly legacy now . 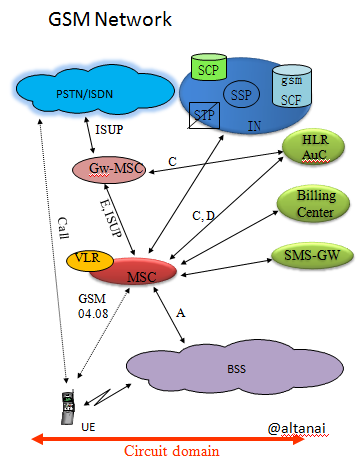 We have seen the evolution of second to third generation of telecom most recently . 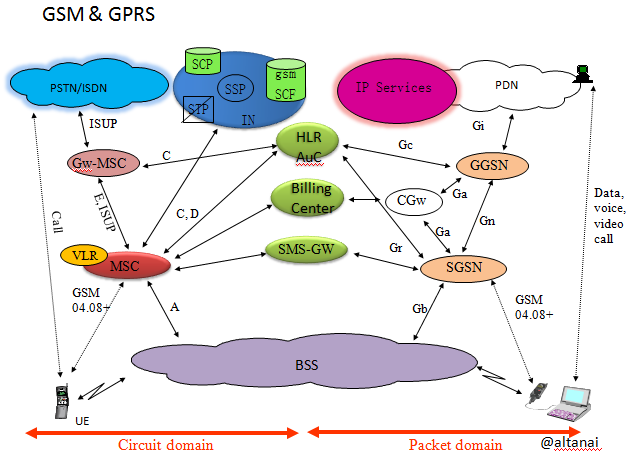 Where 2 G is referred to as the GSM era , 2.5 G as the GPRS with GSM era . The following two diagram denote the service operators architecture nodes in both these times . Note that in pure 2G there was only circuit switched communication services . The advent 2.5 G bought packet switching for data access along with existing circuit switching for voice network . Note that the processes such as billing etc had begun merging for both the circuit switched and packet switched networks . However as the mobile became smarted and hungry for faster internet , it bbecame necessary to bring in faster speed and hence was born 3G. . Now 3G was further succeeded by 3.5G ( HSPA – High Speed Downlink Packet Access ) eventually 4G ( LTE Long Term Evolution ) as we can see now but that is another story . This entry was posted in Legacy telecom and tagged gprs, gsm. Bookmark the permalink.